Your patio looks quite inviting in the warm rays of the spring sun, doesn’t it? Whether it is enjoying a cup of coffee on the porch on a fresh spring morning, reading a good book on the patio under the warm rays of the afternoon sun, or having a barbecue in the backyard in the evening, the coming spring weather promises plenty of chances for outdoor fun and relaxation. Many of these delightful activities, however, are simply impossible without the comfort of outdoor furniture – practical and lovely, chairs, tables, benches, garden swings, and other patio pieces add a great deal to the charm and convenience of an outdoor area. 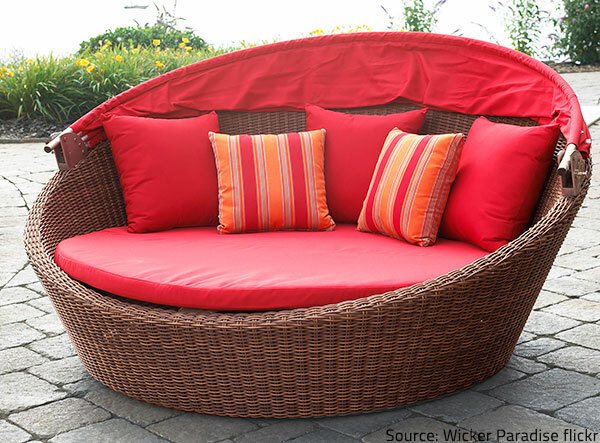 After the long winter months, however, your adorable outdoor furniture may not be in prime condition – rain, snow, wind, rotting leaves, and freezing temperatures might have damaged any pieces left outside and even furniture stored indoors may have been affected by the harsh weather conditions and excessive moisture. Besides, dust, dirt, and grime will have inevitably accumulated on the surface over the long period of non-use. So, if you want to enjoy the first sunny days of spring relaxing on your patio, you need to spare some time and effort preparing your outdoor furniture for the warm season. It’s not too much of a challenge, actually – all you need to do is revamp the materials, clean the surfaces, and ensure adequate protection. Sill not sure where to get started? Just follow the simple tips below and you will get your outdoor furniture ready for spring faster and easier than you think. 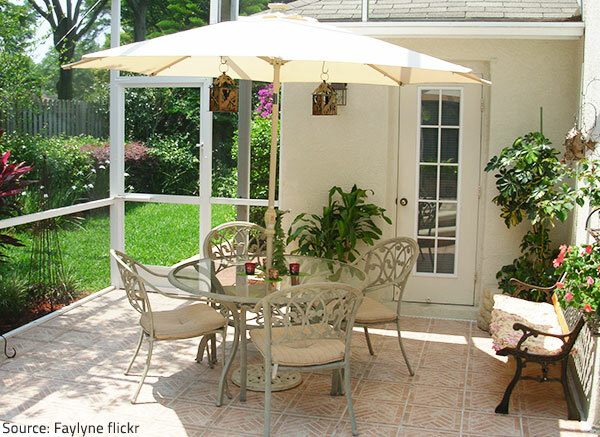 Make sure your patio pieces are in prime condition for the warm season. Tighten loose bolts and screws. If your outdoor furniture has sustained more severe damage, consider calling professional furniture repair and refinishing services – the experts will have the specialized equipment and rich experience required to efficiently restore your damaged pieces and bring them back to life. What’s more, the specialists will know what cleaning products and restoration techniques are most appropriate for the specific type of furniture you have, so that they will be able to ensure the best possible final results. Your outdoor furniture will also be provided with adequate protection against moisture, UV rays, and other harmful elements as part of the restoration process. Hiring professionals to take care of your damaged patio furniture is, undoubtedly, your most advantageous option – the experienced craftsmen will ensure not only the gorgeous look and feel of your furniture, but also your piece of mind. 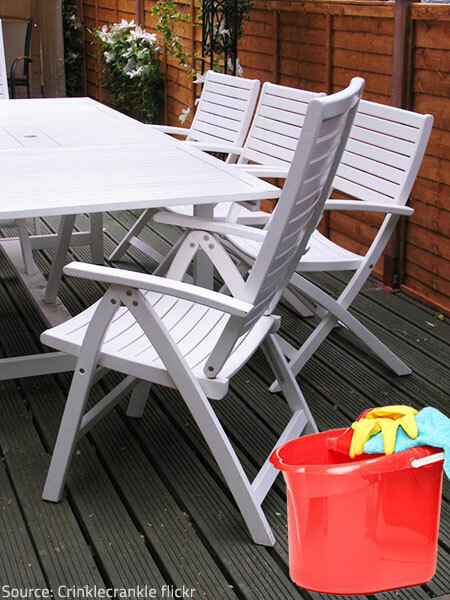 Your outdoor furniture needs a good cleaning to look shiny and beautiful once again. Use a dust cloth to clean umbrellas and canopies. Repairing minor damage and cleaning your lawn furniture when preparing it for spring will help prolong the life of your patio pieces and will ensure the comfort and appeal of your outdoor area. However, there is one more step to take in order to get your outdoor furniture completely ready for the warm season – ensure adequate protection. The time has come to relax on your patio and enjoy the nice weather! – If it beads up, the existing sealant hasn’t worn out yet. Give your outdoor fabrics a water repellent coating. Consider applying a polyurethane spray to all your patio pieces – it will give your furniture a smooth coverage and will help protect it from outside elements. 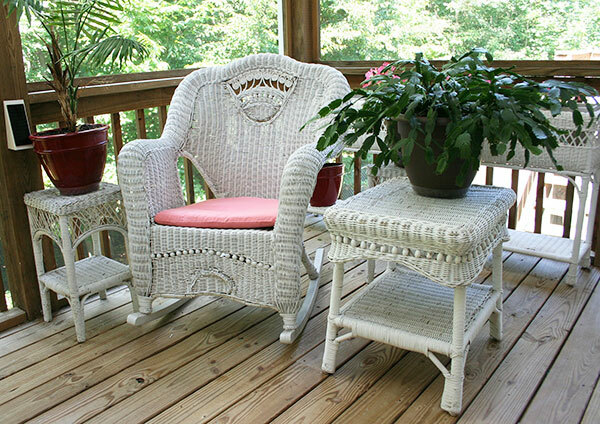 When you mark the last of the above-described preparatory steps as finished, your outdoor furniture will be completely ready for the warm season. All that will be left to do is plan your outdoor fun!